This opportunity is open to Dee Jays / Presenters /Talk Show Hosts local, regional and international - no matter where you are located, you can apply. 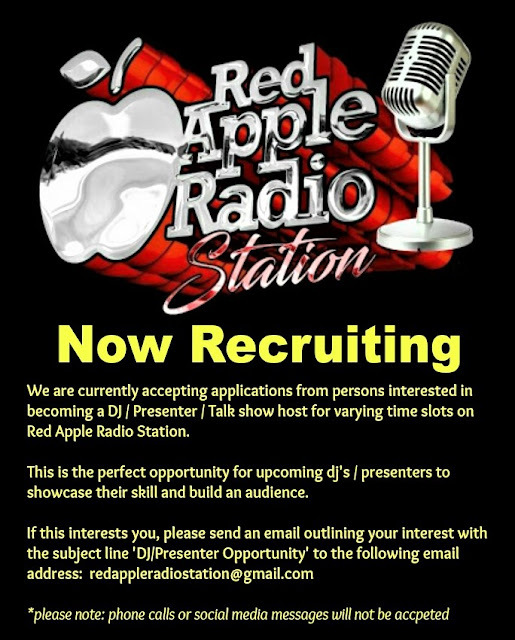 For more info please send an email of interest to redappleradiostation@gmail.com with the subject line 'DJ / Presenter Opportunity'. 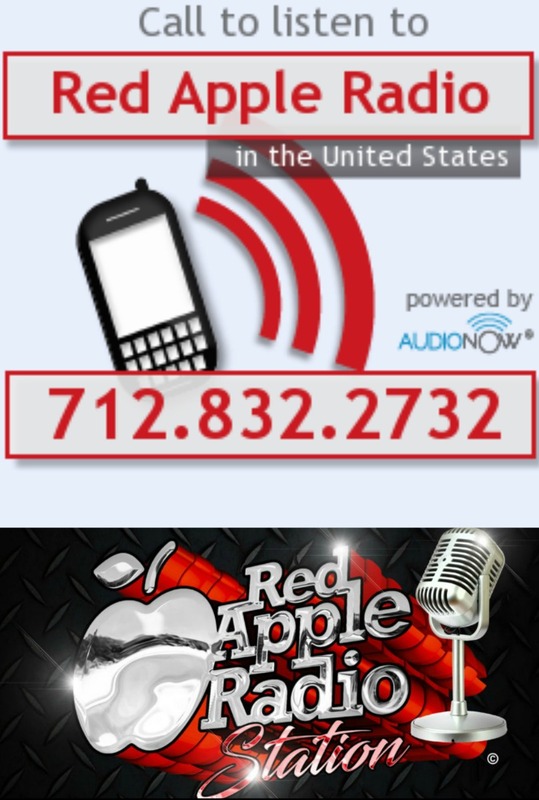 Come join the Red Apple Radio family, gain more experience, exposure and build up an international fan base - send in your applications now! In order of appearance - the following artistes will be taking to the stage on Thursday 25th Jan 2018 in Trinidad & Tobago for the SEMI FINALS of the annual International Soca Monarch Competition. Red Apple Radio Station wish the all the best of luck as they seek a place in the grand finals due to take place on Fantastic Friday 9th Feb.